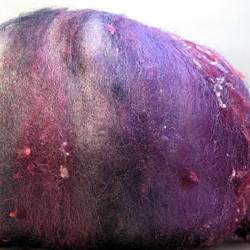 Because it's nice to know what other spinners think about a fiber you haven't yet tried, welcome to the brand-new Knittyspin Fiber Fiesta feature! Each type of fiber is tested by three average spinners, each with a different background and level of experience. Each spinner is provided with the same amount of fiber; everyone gets a different color. Their feedback is collected on a standardized form and summarized below. 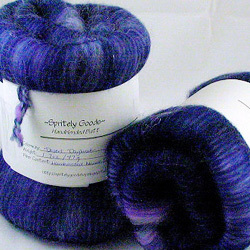 Fiber that did not receive good feedback will not be featured in Knitty, in accordance with our review policy, so if a fiber is featured here, it means the majority of spinners liked it! Items are rated on scale of 1-5. Retail prices are in USD. Enjoyed it very much. I would like to spin a bunch of this for a sweater. how much predrafting was needed? did the fiber behave as you expected it would? Initially, I was afraid of this batt. I have a couple that I’ve had for some time (like 5 years) and I figured I’d make a dog’s breakfast of it because of all the different fibers. I thought it would be harder to spin and the results would be more rustic. 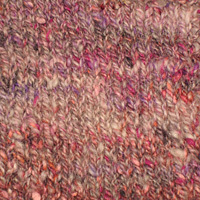 The end result was more refined, softer and cushier than I expected. 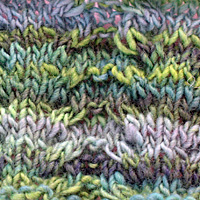 Knitted up it looks a bit like Rowan Summer Tweed. I thought it would either fall apart or be completely compacted – it was neither. 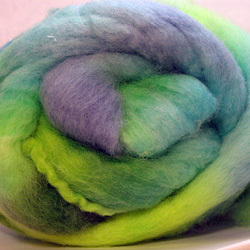 It was fluffy & easy to spin. 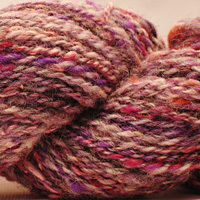 The resulting yarn was far lovelier than I expected. It was softer than I expected, so it could be used in something close to the skin. The fabric striped a bit, but not unpleasantly so. 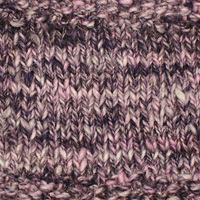 This would make a great everyday pullover with panache. 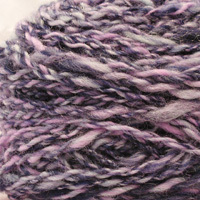 Totally in love with this fiber. Want more. 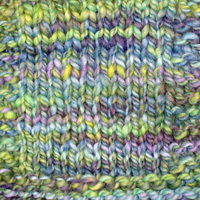 I was surprised at how many colors were in this batt. From the outside, it looked like a gorgeous tealy, blue. There were many layers (white, purple, firestar) that were hidden by the put up. Happily surprised that it wanted to be very thin. 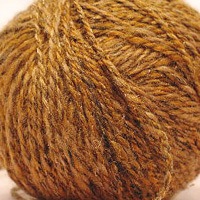 Easiest merino I’ve spun. Because of stripping, yarn was a little hairier than I expected. Split the batt in half and then split one of the halves in half. Spun those 2 halves with minimal drafting on one bobbin. 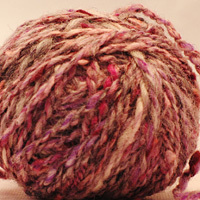 The other half was split into eighths and spun on another bobbin. 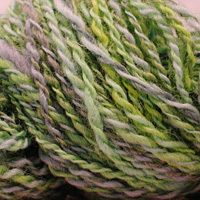 Stripped, pulled lengths and spun from fold. This could be worn next to the skin, even with the firestar. It was not scratchy or rough at all. 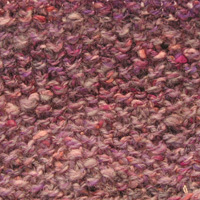 It would make a gorgeous sweater or a very cool lacy scarf. 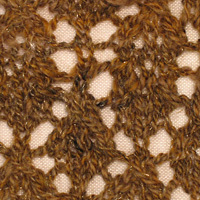 A fancy accessory worn close to the skin.